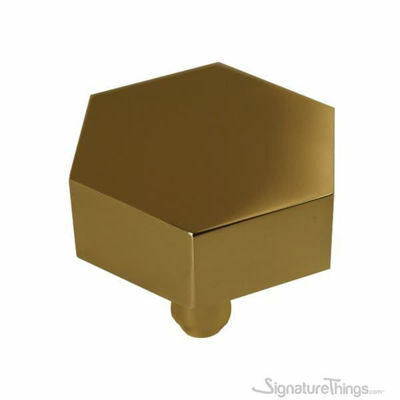 Knobs are an affordable way to add personality to a piece of furniture or door. 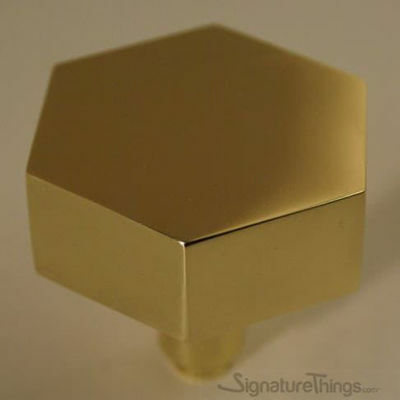 This hexagon knob will ad a unique touch to any room. This is just a door knob, not the full hardware. Since it can be used in multi ways and we do not know the thickness of the door it will go, we do not provide the hardware or screws to install them. You can use any screw from the hardware store. 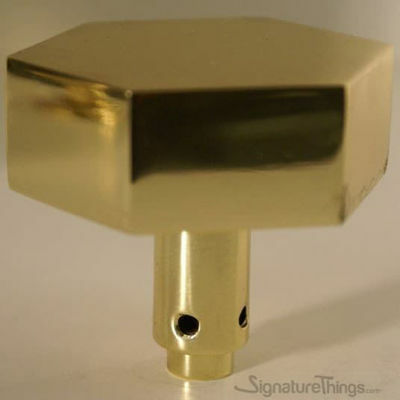 Fine craftsmanship is the highlight of this Brass Cube Lucite Handle. Made from premium grade Lucite and long lasting solid brass, this substantial Lucite Handle will be a memorable piece in your home. This Nugget Door Knob has a sleek and contemporary design with its geometric arcs design. 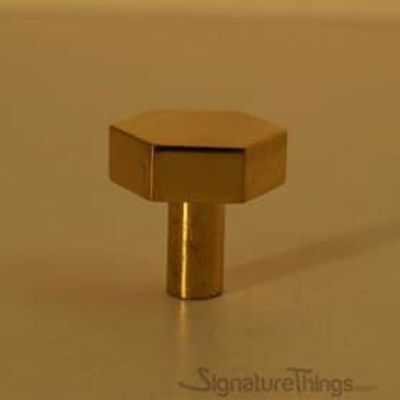 Made of solid bronze, making it a durable piece for everyday use. 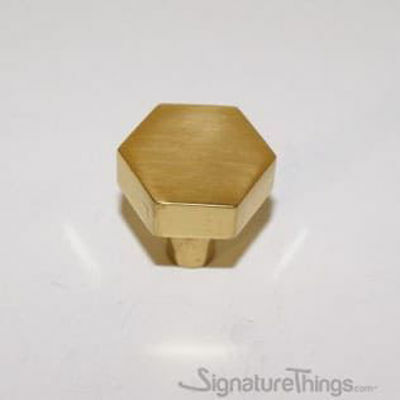 This rose bud knob will add elegance to any cabinet harware. It features a detailed rose bud. Reminiscent of the Victorian era, the rose bud knob combines beauty and elegance with its detailed design. A simple, curved design in the center and leafy at two ends make this entrance set ideal for elegant homes. Smooth, creamy Spindle Style Door Pull, the wholesome yet stylish look. 8" Lion Head Brass Door Knockers. Bring the inviting warmth of nature to your front door with the addition of the lion Head door knocker. Made of solid brass, this door knocker includes matching mounting hardware and striking plate. Unique door knockers is an ideal decorative accent for a front entryway and is a great way for stylishly announcing a visitor. Custom finishes available. Add this simple yet beautiful door stop to protect your walls from damage.Give your entry a dose of drama with the Classic Door Stop. Crafted of solid brass, this detailed door accent is sure to garner a second glance from guests, while soundly alerting their arrival. This floor bumper is small but robust enough to protect walls and doors from damage. The stylish design keeps up appearance with a concealed mounting screw.